All ten eggs have now hatched and we have lots of happy little chicks scurrying around. 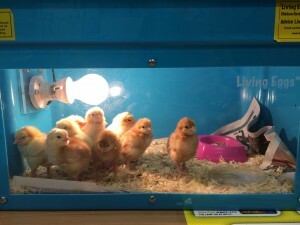 Children from all classes have really enjoyed visiting them and learning all about them from the information station set up around the chicks. The Dark yellow ones are the boys and the lighter yellow are the girls. The chicks will be spending the weekend with Mrs Tipping so she can look after them.